(National Times)- On Nov 29, at Vietnam – Soviet Friendship Culture and Labor Palace, the award ceremony of “Enterprises for Employees of 2017” took place. 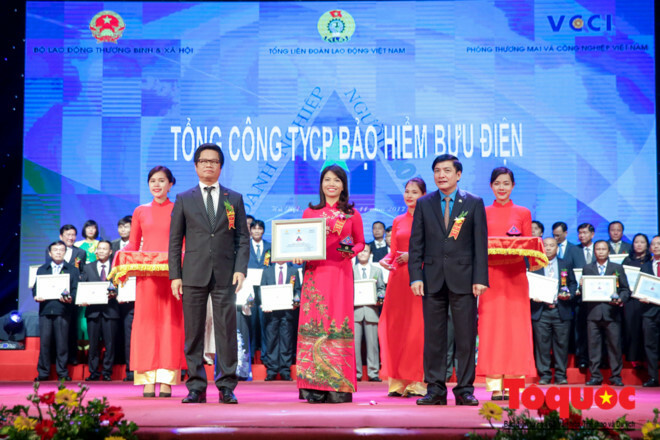 The award ceremony of "Enterprises for Employees of 2017"
This is an annual event organized by Vietnam Chamber of Commerce and Industry (VCCI) in cooperation with Vietnam General Confederation of Labor and Labor Daily, to honor enterprises that have made great efforts in improving working environment for their employees and labors and creating a harmony relation between enterprises benefits and the rights of employees as well as the social benefits. 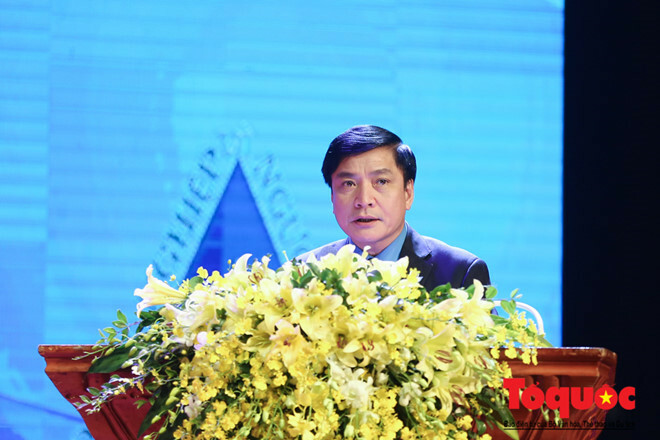 Speaking at the ceremony, President of Vietnam General Confederation of Labor Bui Van Cuong said, with the spirit of accompanying enterprises and labors, this year, the organization has once again coordinated with Labor Daily and VCCI to review and announce the List of Enterprise for Employees of 2017. The “List of Enterprises for Employers” is based on a set of criteria, developed by experts on laboring and trade union issues. These criteria reflect the fact of employing and treating labors of enterprises in various areas in Vietnam, including income, training, working environment, social benefits, physical and mental activities etc. 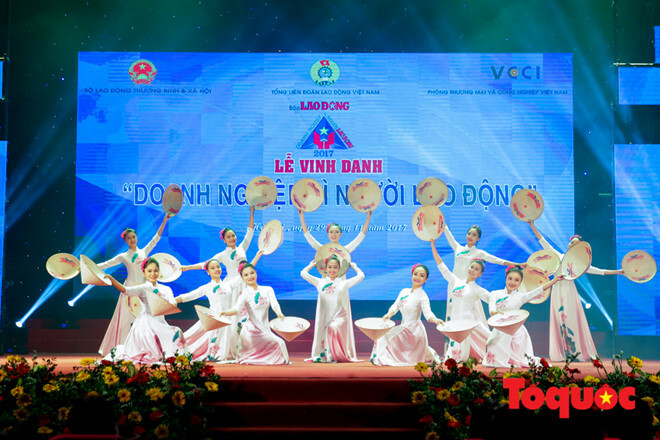 In 2017, 74 enterprises have been honored and Vietnam Posts – Telecommunications Joint Stock Insurance Corporation (PTI) is one of them. PTI is a leading non-life insurance company in Vietnam, offering a wide range of insurance products, including: human insurance, motor-vehicle insurance, engineering asset and marine insurance etc. PTI has been always maintaining high growing rates in the past years, confirming its position as one of the most powerful motor-vehicle insurance providers in the country. PTI owns a wide network with 42 member companies and more than 100 transaction offices, covering 63 provinces and cities nationwide. In addition, with the advantage of nearly 10,800 post offices and regional post offices which belong to a network of agents built in the past 19 years, PTI is proud to be an insurance company with a largest network of sales and customer care in Vietnam. As an insurance company for the community, one of the top priorities of PTI is to expand its customer service network. 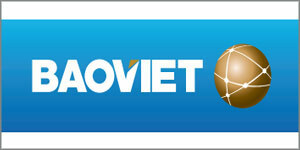 Currently, PTI is the insurance provider with the most intensive network of sales and customer service in Vietnam. PTI’s insurance products can be reached exclusively at all post offices in Vietnam, including those located at the most remote areas. This network helps the company to increase its access to potential insurance buyers, but also to shorten the time for compensation procedures, resulting in more convenience for its clients.